He’s quite the popular guy in Hollywood these days, that’s for sure. After his fantastic showing in Josh Trank’s Chronicle, Michael B. Jordan has been linked to a wide variety of upcoming projects. Three rumoured projects for the young actor are Star Wars: Episode VII, Fox’s Fantastic Four reboot, and Roland Emmerich’s Independence Day 2. Well, speaking to The Associated Press, Jordan has discussed these stories. Jordan didn’t give any further information on what his audition entailed, but it seems like there’s been a laundry list of actors and actresses who have read for parts in J.J. Abrams’ upcoming venture to a galaxy far, far away. So, nothing concrete just yet, but he has definitely gone for Star Wars talks and would be up for both Independence Day 2 and the FF reboot. Before any of those films, Jordan’s signed on to play the son of Apollo Creed in the upcoming Rocky spin-off, Creed. Sly Stallone will return as a mentor for Jordan’s character. 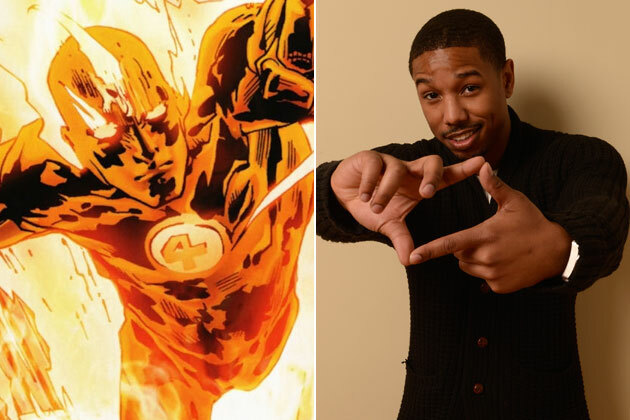 Tags: Chronicle, Fantastic Four, Fantastic Four Reboot, film, Film News, Independence Day 2, Michael B. Jordan, News, Star Wars, Star Wars: Episode VII. Bookmark the permalink.